Yes, it make look like a hot mess – but it’s also freaking delicious! 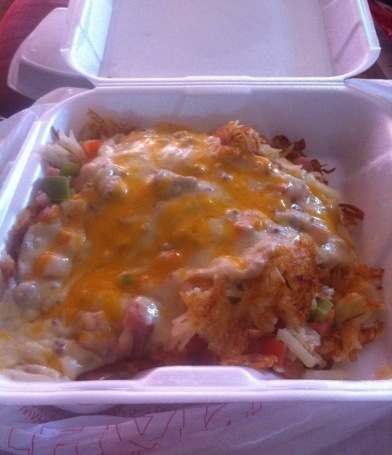 Hash browns, onion, tomato, bell pepper, sausage, ham, gravy, cheese…It’s pretty much a scramble of everything that makes breakfast, well, breakfast! ← I’m Uncomfortable, Darn it!